You know what? On a lazy Sunday in the countryside with a pot of warm coffee, this book is exactly what I want: a light-ish read with just enough depth to be interesting, enough information to be useful while not feeling like work. 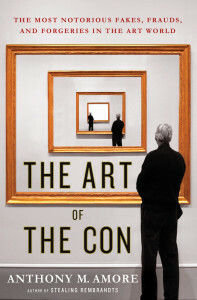 The Art of the Con is exactly that. I read through a long lie in, during a bubble bath, and in front of a fire. I read it to relax while relaxing. Really, what more could you ask for? 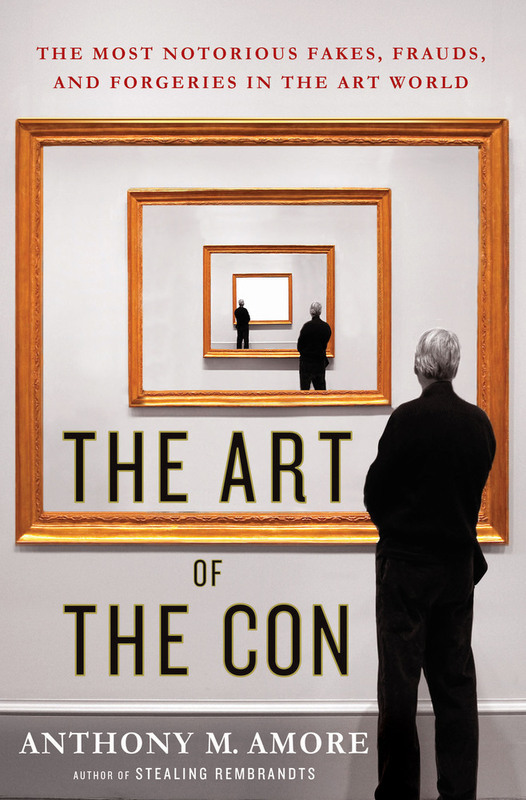 If you are looking for an in-depth criminological or sociological analysis of art forgery, this isn’t your book. If you want to spend an evening exploring interesting cases of art crime told as almost self contained stories, well, here you are! The cases that Amore includes in The Art of the Con are an interesting mix. Most are relatively recent (although some are not). The recent ones are fresh enough that you’ve only read about them in the press, not other art crime books. The older ones are not the usual suspects so they feel new. I was unfamiliar with a couple of them: I made a note to look into those cases when I wasn’t relaxing. This book is for relaxing, gosh darn it. Work tried to creep in! I would be remiss if I didn’t say that this book lacked a narrative. Forgery is the topic but, as I said before, these are mostly 11 self contained stories rather than a study of art fraud in itself; the stories are the foci not the phenomena of art forgery. Amore does offer some broad observations that are really quite interesting. He notes that most art forgers are men. While women participate in the business of selling the con, they rarely produce the fake painting. Only one The Art of the Con case is offered where a woman forges a complete painting, and in that instance she was not doing it maliciously, rather she was herself a victim of the con. Another observation is that prolific forgers tend to favour modernist and expressionist art over, say, old masters and Amore offers several reasons for this. One of the reasons is material. 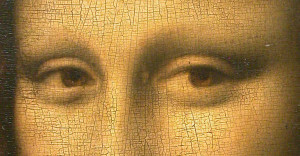 It is relatively easy to use scientific techniques to who that a forgery contains pigments not available, say, 400 years ago and it is difficult to come up with appropriately aged canvasses or board. Furthermore, it is difficult to fake old-ness. Paintings develop characteristic cracks in their surface as they age. 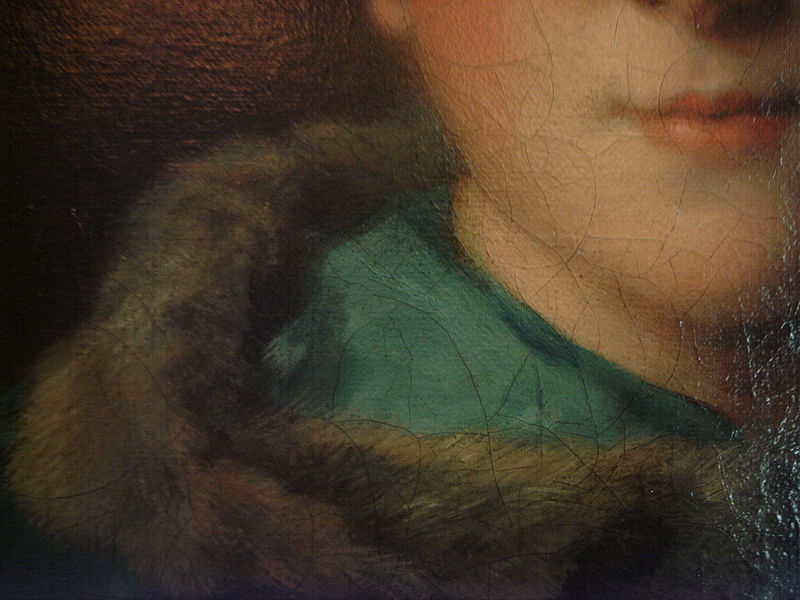 These cracks, known as craquelure, are both hard to fake and also develop in certain ways on paintings from certain times and locations (something I learned from the book). Finally, old master paintings are HARD. Leonardo is worshiped for a reason: you can’t just crank out a believable Mona Lisa. 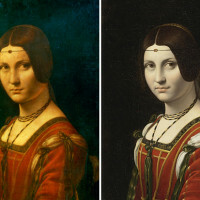 Amore notes that Wolfgang Beltracchi, a notorious art forger, claimed he could fake a Leonardo, but asks, where’s his Leonardo? Finally, Amore is clear that every piece of fake art requires a convincing story. In other words, fake provenance is as important as the fake painting itself. Forgeries are only successful if they come with the story that the buyer wants to and expects to hear. Author Amore with one of the empty frames at the Gardner Museum. By the way, Amore certainly has street cred. He is Director of Security at the Isabella Stewart Gardner Museum, the site of one of the most famous art heists in history. Clearly art crime is something that Amore has actively worked against for years. 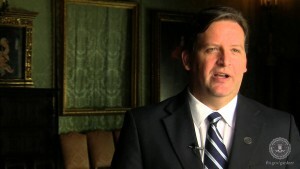 Both his selection of cases and his particular insight into them are valuable. If you are going to read about art crime, I say read about it from someone who has made a career out of staying one step ahead of art criminals. In 1996 the former director of the Metropolitan museum of art Thomas Hoving stated that 40% of all art in museums is fake. If you allow for other types of misrepresentations of origin, ownership, etc you’re looking at a massive amount of deception. It is worth thinking about that for a bit. What do we really know about art if so much art we interact with is fake? Does authenticity matter in an intangible way? Who cares if art is fake if we like it? Well, art historians care, the artists care, and people who value the monetary value of art care. All in all, Amore’s book is a successful series of stories about art crime failure. These are the people who got caught; we know that a not insignificant number of art forgers are never caught. These are great tales of scam and intrigue but The Art of the Con is only the tip of the iceberg. Perhaps in a couple years time, Amore will write The Art of the Con 2 with more scam stories. If he does, I’ll buy that book too.